One of the many delights we inherited when we bought this house was the single vine of jasmine in our backyard. During the redesign of our exteriors, the landscaper found a new home for this jasmine by planting it at the base of the newly relocated magnolia tree and wrapping it around the trunk. Even though only a handful of flowers bloomed that first year, the scent was still heavenly! This can easily be hung as a wreath or used as a dining table centerpiece to freshen an interior space. It would also make a gorgeous accessory in your hair for that boho look. It is beautiful no matter where you place it. 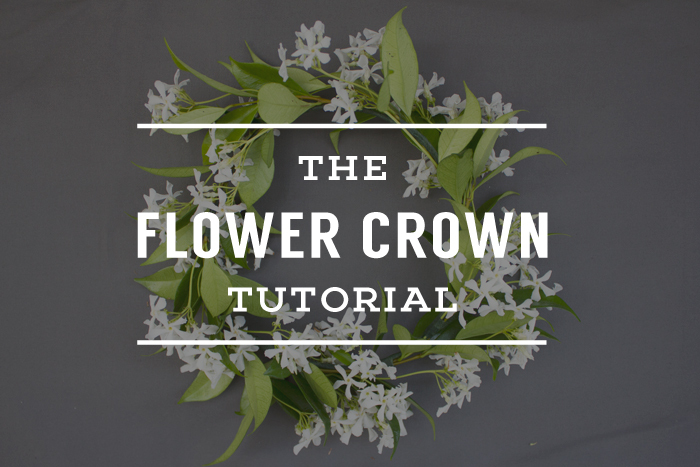 This flower crown is so easy to make that you can have several of these for an impactful group photo. Next time, I think I'll make this with lavender and sage. Wouldn't that make a lovely combination? 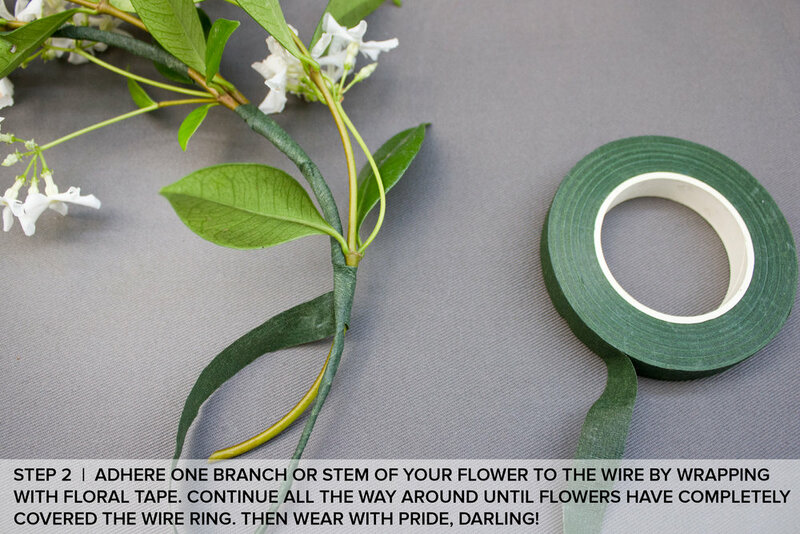 What flowers would you use in your flower crown? How would you use this as a prop?